As a woman of color it’s difficult to make it in the music industry but we think that if you have a dream and you want it to make it true eventually it will happen. So incredibly stoked its Friday that I can barely breathe. We got this track in from France-based Femme and it’s got all of those, time to leave work and boogie vibes. Of course, we couldnt just stop at the music– we wanted to get an interview too. So, everyone stop what you’re doing and check it out. Just kidding, we know you weren’t actually doing anything at work anyway. How did you get started/what compelled you to make music? 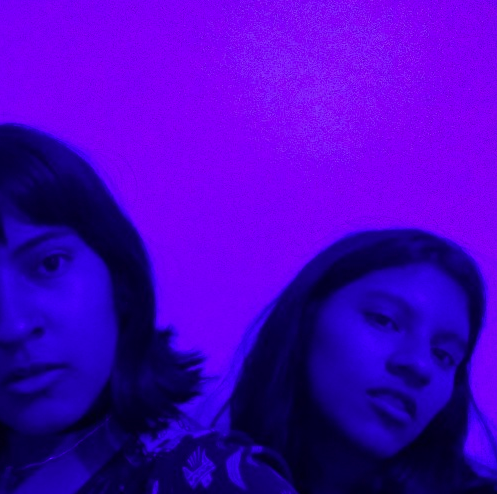 It started with me and my sister, we are a two-piece band, we always loved music more than anything and we always wanted to make something together. We believe that music can make something and change the fucked up society we are living right now. As a woman of color it’s difficult to make it in the music industry but we think that if you have a dream and you want it to make it true eventually it will happen. That’s why we have something to say against the things that are happening in the world right now, against discrimination, hate, etc. And we believe that music it’s the best way to be heard. Who all is involved in the project? Femme is me (Joana) and my sister (Marianela). Yes, I play the guitar and some piano and my sister as well. What would ‘making it’ or success look like to you? Success looks to me like playing tons of gigs in a different country every day and people listening and loving our songs. What do you do when youre not making music? When we are not making music we are studying ’cause we are in college or making more music. Would you rather play a sold out massive show or a small intimate gathering? I think we would really like to play a massive show, just cause it will be the best. Check out the track The New Venus World here.